Two walls of mahogany paneling are used to nice effect offsetting the stark white that surrounds them. 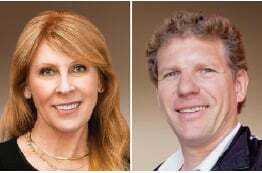 Story resources interior designer Lucile Glessner and house painter Lou Palladino. Turn on any episode of HGTV's 'Fixer Upper,' the home design show hosted by Chip and Joanna Gaines, and you're likely to see the couple restoring or installing shiplap, a horizontal pattern of interlocking wooden boards that was traditionally used to build barns—not ships, despite the name. Originally used as inexpensive weatherproofing, shiplap is being utilized by many of today's designers to create accent walls in traditional homes to add texture and interest. 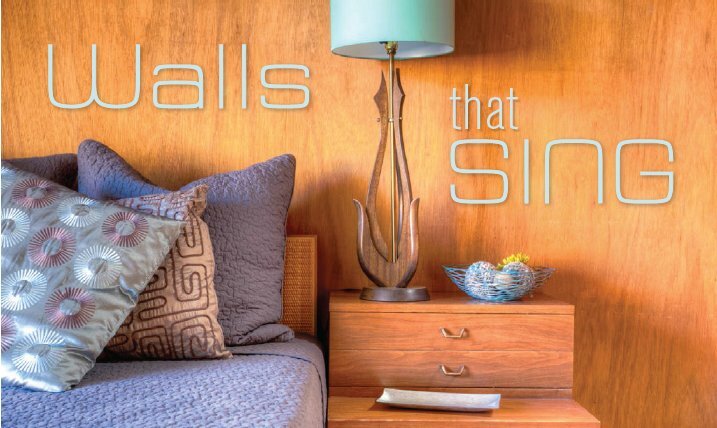 While the rustic look of shiplap isn't appropriate for Eichlers and other mid-century modern homes, we can make a correlation in today's design ethos between the Gaines' obsession and many MCM homeowners' desire to use textured accent walls to offset interiors that previously may have lost their character with the whitewashing of walls, posts, beams, and tongue-and-groove ceilings. A pop of texture, color, or new wood paneling, added to a single wall in a room, can bring a white interior back to life and restore some of the home's lost original look and feel. From natural and painted wood to three-dimensional architectural panels and adhesive wall murals, there are a lot of interesting and affordable ways to add personality to mid-century interiors through accent walls. Some homeowners even extend their original exterior grooved siding into an interior wall of the home, as Eichler did with some of his original models, emphasizing the indoor-outdoor connection. Of course, many mid-century modern homeowners continue to maintain their love affair with the mahogany paneling originally installed in their homes. And why not? Because wood—be it natural, engineered, stained, or even painted—can bring an inviting texture to walls, providing a neutral look, warmth, and beauty. 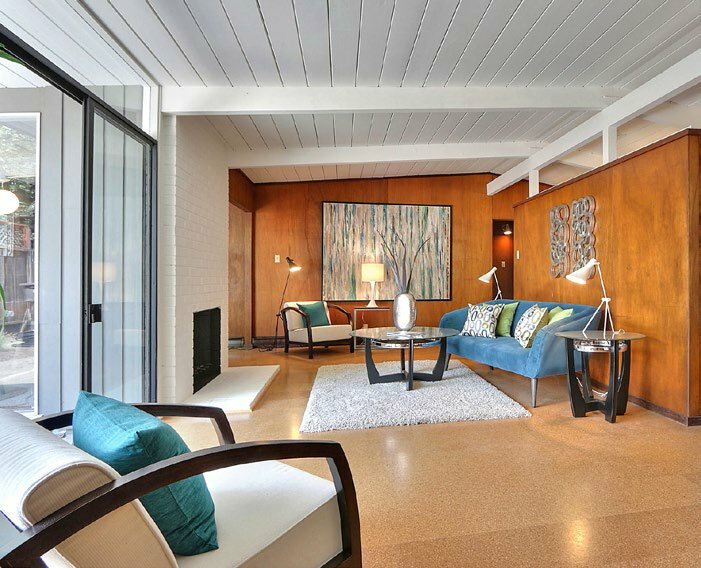 "The original dark lauan mahogany paneling was an important decorative feature for Eichler homes when they were built," says interior designer Lucile Glessner of Lucile Glessner Design, based in the South Bay. "It is a recognizable design element for those homes." That lauan, commonly referred to as Philippine mahogany, is a hard wood that originates from several countries in Southeast Asia and is harvested from a family of trees. The original panels featured a wood veneer top layer that was used on walls and doors. Applying these panels simplified interior finishing during construction, requiring some light staining before becoming an instant palette for embellishing the interior. Over the years, these panels also minimized the need for maintenance, because they didn't need to be stained or touched up as often as painted drywall. "One of the reasons Eichler used paneling is that it was cheap, easy to install, and works well to create the feel that is associated with mid-century modern homes," says Texas-based designer Pablo Solomon who has an appreciation for MCM design. "Restoring damaged wood paneling is difficult—and it's usually easier and cheaper to replace. However, painted panels can be easily touched up and repainted."